Not every home needs one, but for those that do, an expansion tank can prevent some frustrations, messes, and more than a few headaches. An expansion tank gives excess water someplace to go when there’s no room inside the water heater and the supply lines are at capacity. In a closed plumbing system, this little device can help prevent some big headaches for the homeowner. Add this to your professional home inspection checklist and go the extra mile for your customers. What is a Closed Plumbing System? A closed plumbing system lets water in through the supply line and doesn’t let it back out except through drains and sewer lines. If you thought that described all plumbing systems, you’d be in good company. What a lot of folks don’t realize is that water can sometimes move backward through a supply line. As water heats up, it expands. In a plumbing system that’s already full, water needs someplace to go, so it travels the path of least resistance. A closed plumbing system prevents backflow from happening. A check valve installed on the supply line creates a one-way path for water to flow in. From there, it needs someplace else to go once it expands. Certified Home Inspector Reuben Saltzman writes for the American Society of Home Inspectors blog that in a home without a check valve, a pressure regulator can prevent backflow and create the same type of problem. 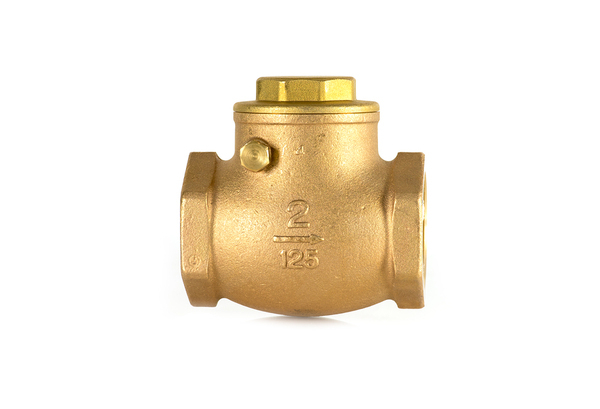 Check valves come in a wide range of sizes, shapes, and styles. What Does an Expansion Tank Do? Knowing how a closed plumbing system and check valve function, you probably have a good idea about the job of an expansion tank. It’s a reservoir that’s on call to go into action as needed. When water heats up and expands, the excess flows into the tank. It is as simple as that. Expansion tanks are commonly installed on the cold supply side at or near the water heater. But they might be anywhere, as pressure builds up throughout a closed system. Proximity to the appliance isn’t important. Fast Water Heater Company says tanks perform best when installed “downstream of the shutoff valve.” Unlike what some expansion tank manufacturers say, the angle of the tank isn’t critical to its performance. What Can Happen Without One? When water expands, the amount of pressure that builds up can be impressive. 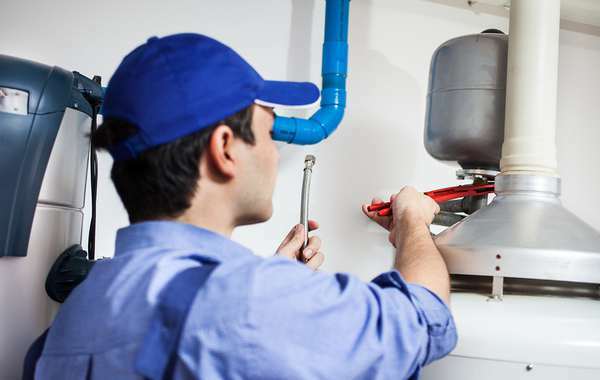 Think about every plumbing fitting, every connection, every joint and valve in the home. Each connection that’s glued, soldered, or clamped is a potential point of failure when the water pressure goes up. One of the more common problems happens at the water heater. The pressure relief valve might leak, which is its job. If you spot water on the floor near the water heater, it might not be a defective tank, but a valve that’s protecting the system, if in a messy way. Saltzman says homes that need an expansion tank might have other symptoms. With pressure built up in the line, toilets might randomly re-fill. Faucets might leak, as well. An expansion tank isn’t vital, but if a home needs and doesn’t have one, it can create headaches for homeowners. A broken supply line is possible, but it’s not the most likely scenario. More often, the pressure relief valve at the water heater will leak and leave a mess. When you’re developing your home inspection checklist, add expansion tanks to your plumbing inspection protocol. What you learn could save your customer hassles and some money down the line. Are you ready for the next generation of home inspection reporting apps? Download our home inspection app for Android or get it for your iPhone today.